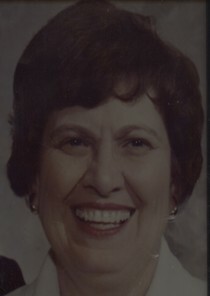 Iretta France, 100 of Providence, passed away on November 22, 2018 at Palmers Place in Providence. She is the daughter of the late Rube Merrit Traylor & Grace Lee Childress. She is preceded in death by her loving husband Carl France. Iretta was a member of Providence General Baptist Church where she was a member of the choir and taught Sunday School for many years. She worked at the IGA as a Cashier for many years making lots of friends. She is Survived by a close cousin Anna Dean Tudor, very close friend Linda McDowell, many cousins, and many friends. Visitation will be from 11am to 2pm on Sunday November 25, 2018 with Bro. Barry Cullen conducting the services at 2 pm in the chapel of Jones Kirby Funeral Home with burial to follow in Lakeview Cemetery. www.Joneskirby.com for online guestbook and more.